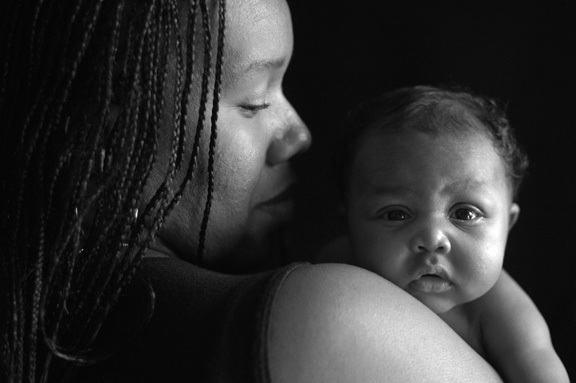 This post is part of “Inequities in Maternal Mortality in the U.S.,” a blog series hosted by the MHTF. It’s hard to believe that the United States (U.S.) ranks 46th in the world when it comes to the rate of women dying from pregnancy and childbirth complications. Our country’s maternal mortality statistics are the worst of all industrialized countries, and we also lag behind Kazakhstan, Libya and Qatar. It’s not news that we fall behind other countries in health. But what is surprising, and what I’m particularly upset about as an OB/GYN and a maternal health advocate, is the disturbing trend. Maternal mortality is on the rise in the U.S., even as it has declined nearly everywhere else in the world. How can this be when the U.S. spends more than any other country on maternity care? Clearly, it’s time we include the U.S. in the global conversation about ending preventable maternal deaths. That’s why Merck for Mothers is supporting the Maternal Health Task Force to ignite this global dialogue and facilitate resource and information sharing. We want to foster a community inclusive of maternal health experts in the U.S. that will lead an invigorated movement to improve maternal health, including shared learning across all settings. Our nation’s capital, Washington, D.C. has the highest rate of maternal mortality in the country, behind states including Mississippi, New York and Texas. Every 10 minutes, one woman nearly dies during pregnancy or childbirth. This means that more than 50,000 women every year experience a “near miss,” a life-threatening complication around the time of childbirth. Black, non-Hispanic women are 3-4 times more likely to die during pregnancy and childbirth than White, non-Hispanic women. Even accounting for variations in income and education, Black women face a far greater likelihood of dying than anyone else, and we don’t know why. And in New York City, this disparity is even wider—with Black women 12 times more likely to die than their White counterparts. More than a third of maternal deaths in the U.S. are preventable. An estimated 40% of maternal deaths could be avoided if women had access to quality care. More than half of states don’t examine why a maternal death happened. * The majority of states do not have a formal process to review cases of maternal deaths. If we don’t learn from what went wrong—and share what we find—we can’t make changes to prevent these deaths in the future. More women are entering pregnancy with chronic conditions, heightening their risk of life-threatening complications. * Chronic conditions like obesity, high blood pressure and diabetes are on the rise in the U.S. – all of which increase the chance that a woman will experience a complication. In fact, the leading cause of maternal death in the U.S. is cardiovascular disease. Unlike with heart attacks, there are no standardized national protocols for managing childbirth emergencies. * When someone suffers a heart attack, every hospital has procedures in place to treat the patient. That’s often not the case with childbirth complications. Many hospitals lack consistent approaches for recognizing and handling emergencies, and a woman’s care can vary dramatically depending on where she gives birth. The majority of maternal deaths occur after birth. * An estimated 60% of women who die from complications of pregnancy and childbirth do so in the days and weeks following childbirth – an all-too-neglected period when most of the attention is focused on the baby. It’s clear that that the U.S. needs to do better by its moms. Fortunately, we’re seeing some positive trends. At the federal level, new policies are being proposed to require all states to review cases of maternal death and “near misses,” which will significantly improve our understanding of why women are dying. At the health provider level, hundreds of hospitals have started using consistent, evidence-based approaches for managing childbirth complications – ensuring that all women receive the same, high-quality care during an emergency. And at the community level, grassroots organizations are helping pregnant women with chronic conditions get the comprehensive care they need to be healthy during and after pregnancy. While this progress is encouraging, there is so much more we could accomplish if the U.S. were more fully part of the global effort to end preventable maternal mortality. I’m optimistic that this new global exchange of ideas will help forge exciting and unexpected collaborations. Together, I have no doubt that we can change the trajectory of maternal health in the U.S. and help make pregnancy and childbirth safer for the four million women who give birth here each year. *Please visit merckformothers.com to see how we are supporting efforts in these areas. Photo: “Mom and Daughter” © 2006 tostadophoto.com, used under Creative Commons Attribution 2.0 Generic license. CATEGORIESCATEGORIES: Contributor Posts Inequities in Maternal Mortality in the U.S.